This article is dedicated to TSgt. John Chapman, and to all Combat Controllers who have and who are now operating at the tip of the spear in conflicts and humanitarian actions around the world. Recent chatter in the halls of Congress and the Pentagon point at an initiative to upgrade TSgt. John Chapman’s Air Force Cross to the Congressional Medal of Honor. TSgt. 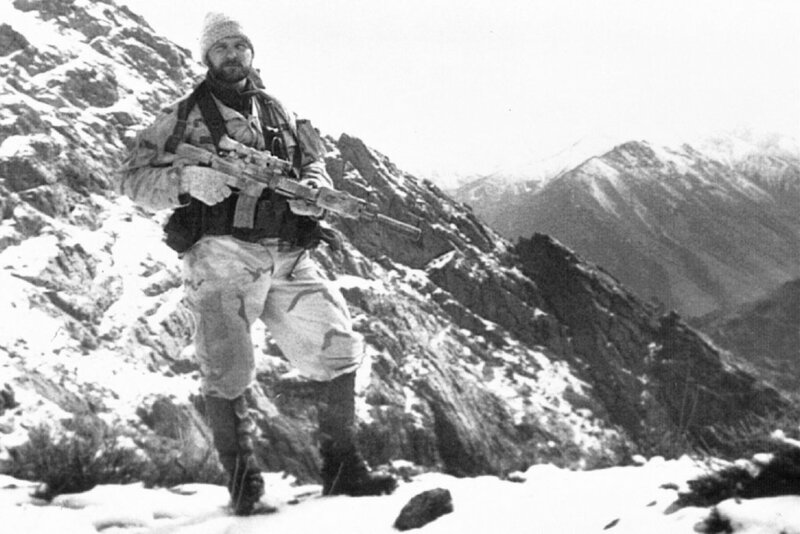 Chapman's selfless sacrifice exemplifies the character and courage that is the definition of the Congressional Medal of Honor. This article supports the initiative by detailing the action that brought the award of The Air Force Cross to TSgt Chapman, and it introduces USAF Combat Controllers, who are not as well-known at their SOF brethren; the SEALS and Green Berets. In this 21st Century fight, USAF Combat Controllers operate at the bloody tip of the Special Operations Command's golden spear. And, in the words of the Delta Force commander at Tora Bora, Afghanistan in December 2001, they are practically indispensable. “...if you asked what tool of the trade would be the very last thing they would leave behind, you might be surprised at the answer. You would likely hear that it is not a tool that makes one nervous when it isn't there, but rather a capability that is not organic to a troop of Delta operators or Navy SEALs. Just because you are the best of the best does not mean you are the best at everything. Any Delta operator can vouch for the capabilities of the Air Force Combat Controllers, and very rarely goes on a "hit" without the men who wear the scarlet berets. The life of a combat controller is split between working with Delta and SEALs, with a little moonlighting with the 75th Ranger Regiment now and again. A half-dozen feet or so to his right, John Chapman, an Air Force technical sergeant acting as the unit’s radioman, lay wounded in the snow. Mr. Slabinski, a senior chief petty officer, could see through his night-vision goggles an aiming laser from Sergeant Chapman’s rifle rising and falling with his breathing, a sign he was alive. Then another of the Americans was struck in a furious exchange of grenades and machine-gun fire, and the chief realized that his team had to get off the peak immediately.